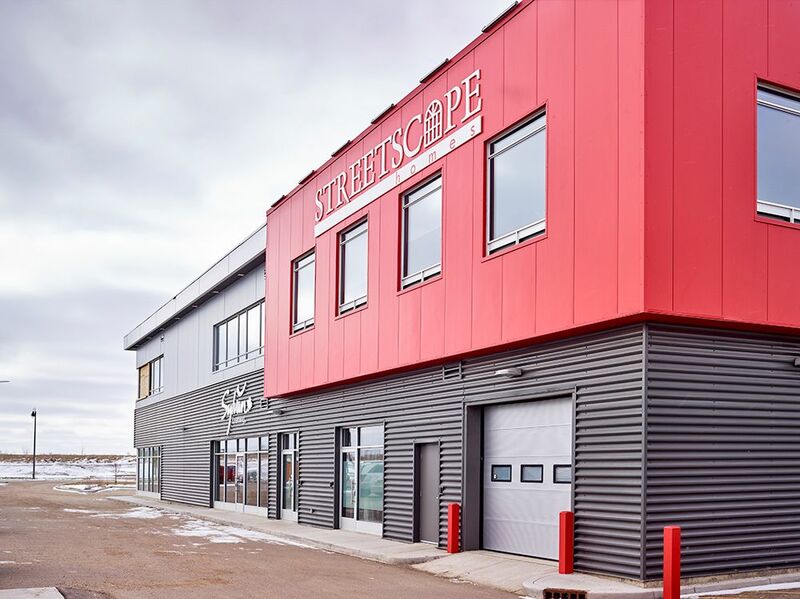 LEWISVILLE, Texas, June 6, 2017 – Streetscape Developments Inc. of Saskatoon, Saskatchewan, chose insulated metal panels from Metl-Span to achieve its goal of constructing a unique, new office building that would appropriately reflect the company’s building philosophy. The Streetscape office also offers rentable space for other businesses. 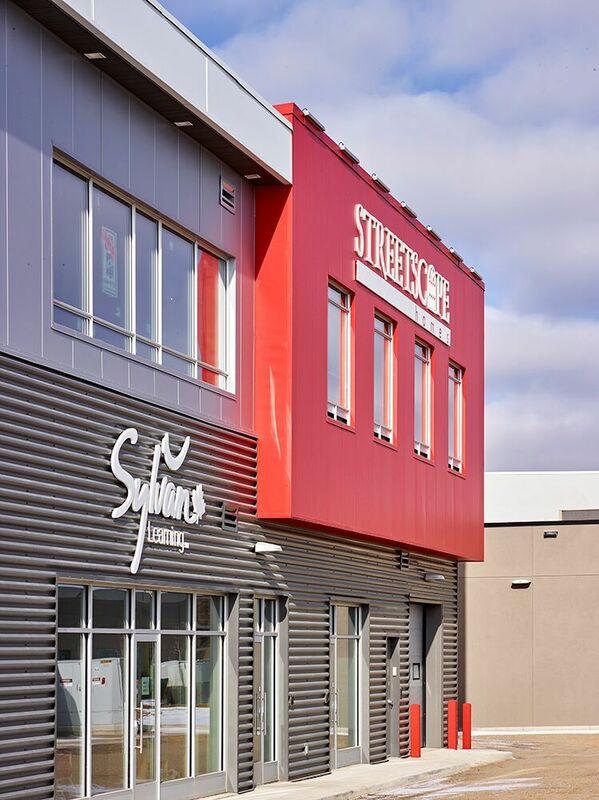 The vision of Streetscape and Kent Sutherland Group Architecture of Saskatoon was to offer spaces with energy efficiency, good air quality and abundant natural light. The facility is “solar ready,” meaning its roof structure and electrical systems were originally designed to accommodate photovoltaic panels, covering the entire roof. 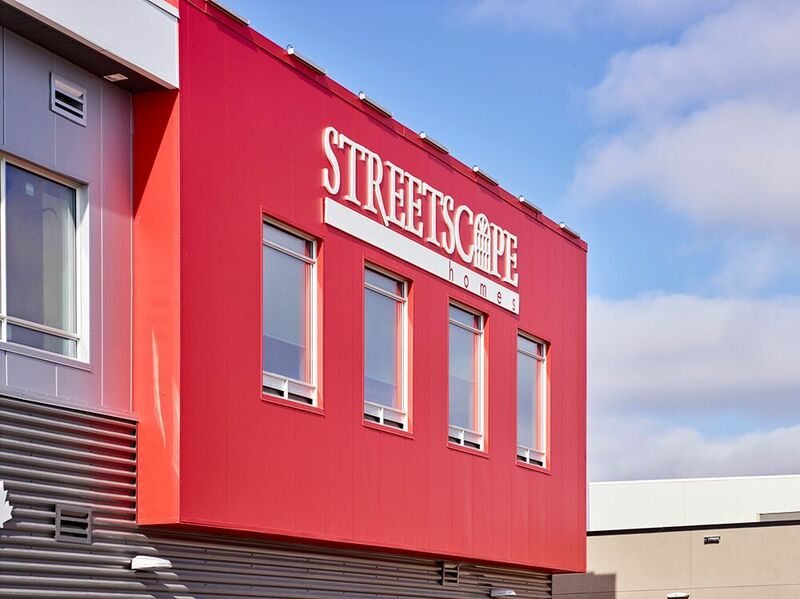 In 2009, Streetscape Developments decided to exceed national, provincial and regional guidelines on energy efficiency by building homes to a higher standard. The second floor Streetscape offices are expressed in two energy-efficient and contemporary elements: a large white rectangular box which holds the exterior staff at one end, and a red rectangle which houses the company offices. 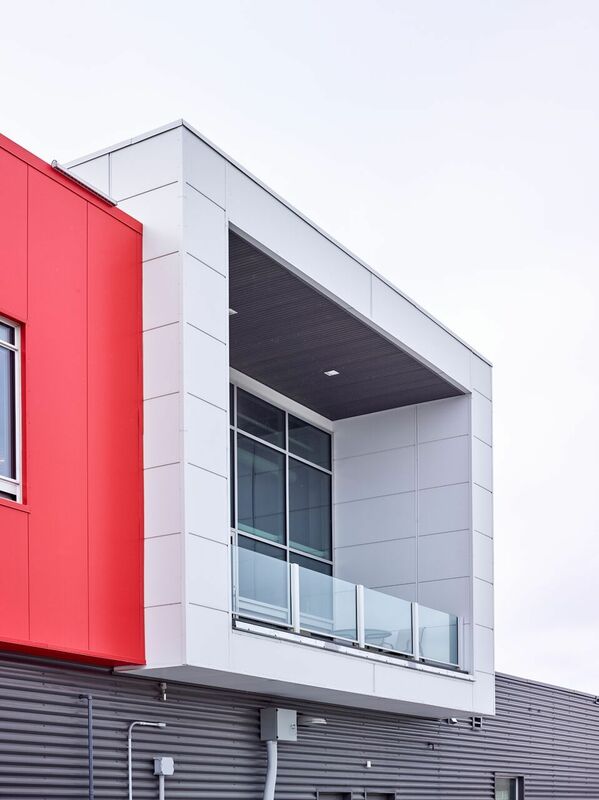 To ensure the building meets the R-value and building code requirements, Metl-Span’s CF 36 architectural wall panel was installed in three different exterior colors. All panels have a four-inch urethane core between a 22-gauge Galvalume 90 exterior panel and a 26-gauge Galvalume 90 interior panel. Architectural Flat was chosen for the exterior panel profile, while Light Mesa was selected for the interior panels, all in Igloo White. 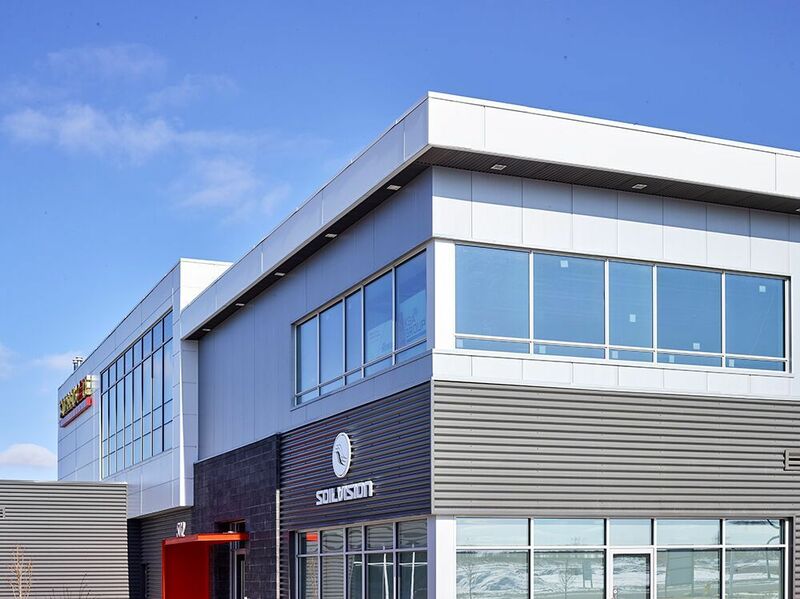 A total of 7,531 square feet of the CF 36 insulated metal panels were installed on the second level of the building: 3,534 square feet in Polar White; 1,627 square feet in Silver Metallic; and 2,370 square feet in Excelisior LG, a custom red to match the company logo. 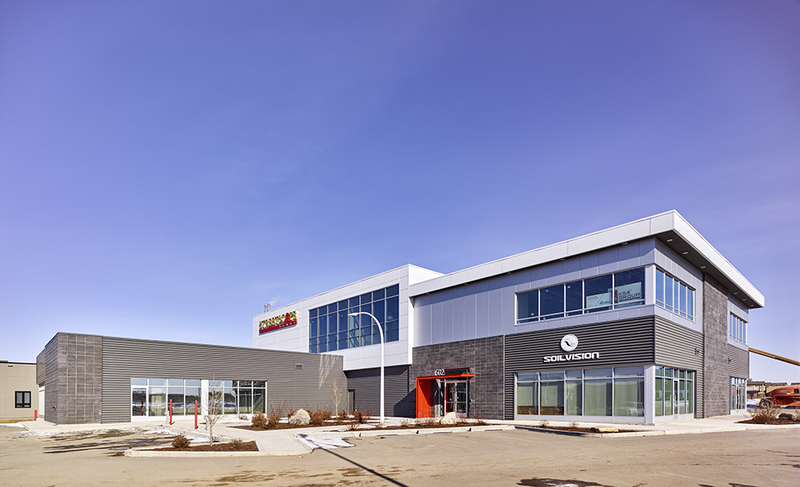 Thermo Design Insulation of Saskatoon installed the IMPs and PCL Construction of Edmonton, Alberta, served as the general contractor. A single-skin metal panel was specified for the lower level of the building. 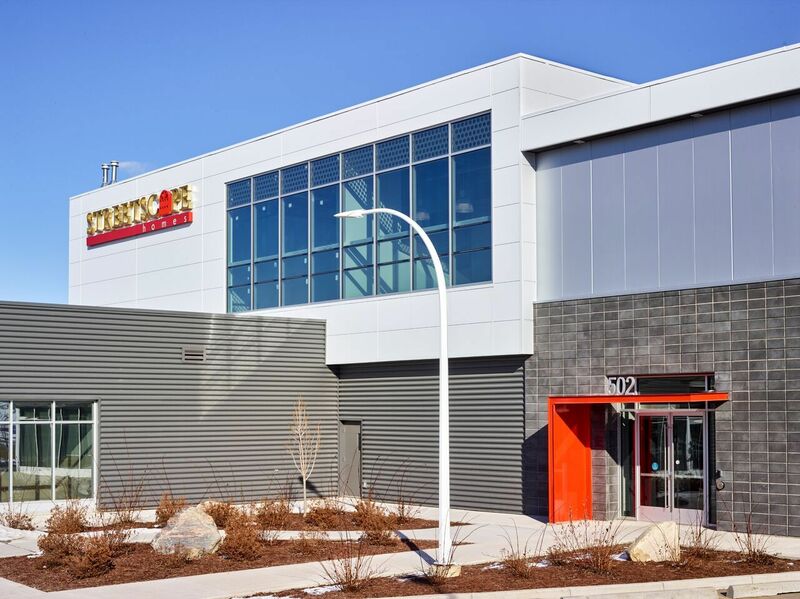 With heavy traffic and snow removal equipment working near the building, architects and the building owner decided it would be more practical to replace any damaged single skin panels than an insulated metal panel. All of the office windows are operable and the building’s exterior design provides many options for exterior signage and street level entrances. 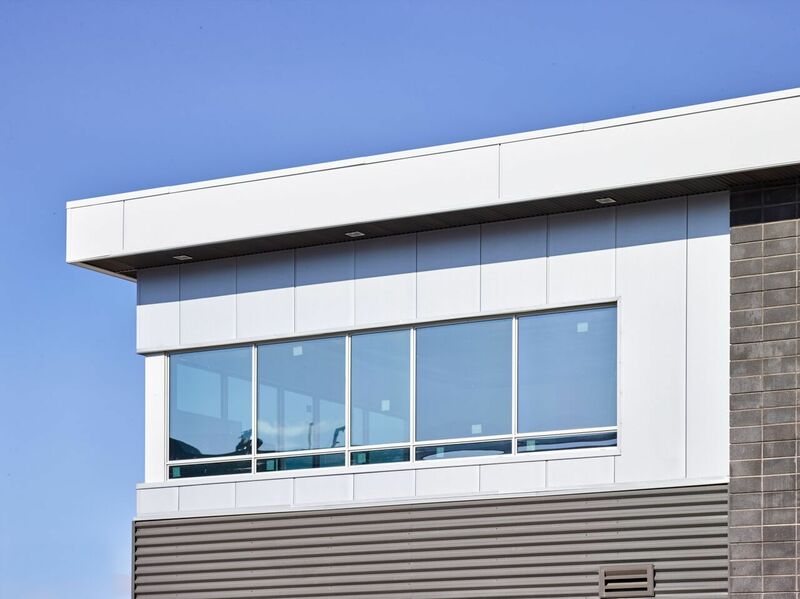 Metl-Span, an NCI Building Systems (NYSE: NCS) company, delivers high-quality, durable and energy-efficient insulated metal panels designed for unparalleled performance to stand the test of time. In May 2016, Metl-Span opened a 24,000-square-foot plant at the Port of Hamilton, Ontario, to offer Canadian customers a significant savings in terms of turnaround and delivery times. For more information on Metl-Span products, call 877-585-9969 or visit www.metlspan.com.